We serve: Allegheny, Cambria, Beaver, Bedford, Blair, Butler, Centre, Clearfield, Clarion, Elk, Indiana, Jefferson, Somerset, Washington, Westmoreland and surrounding counties. We aim to provide each client we take on with the best outcomes possible for their cases. We will always be 100% honest in assessing your situation, even if it means we need to refer you to other representation. Tibbott & Richardson operates on our combined strengths to get positive results for our clients. We will continually focus on the legal advantages available to the community of clients we serve through specialized education and training, knowledge and case law, judicial precedent, and all other means afforded to legal advocates. We respect our clients and will be reachable and responsive to their communications with us; and we will communicate effectively with them throughout their case. Ultimately, we will be bold, and sincere. We will combine these qualities and our practice goals together to provide superior legal representation to each and every one of our clients. Hours: 8:00 am – 5:00 pm M-F; and by appointment. For immediate assistance, call toll free during office hours; Or, you can fill out our Consultation form and submit it to us at any time. We are on call 24/7 and will get back to you as soon as possible. Our Tibbott Building law office is located one block from the Cambria County Courthouse. From the Devorris Downtown Center, take 10th Ave and PA-36 to Broad Ave. Start by heading northeast on 12th Ave. toward 14th St. Turn right onto 14th St., then next right onto 11th Ave. Take first left onto 15th St., and then right onto 10th Ave/P.R.R. Expressway. Continue following 10th Ave for .2 mi Take the Rte.1 S ramp and merge onto 18th St. Follow PA-36 /Union Ave for half a mile. Get on US-22 W in Cambria County Keep straight onto Broad Ave for 1.4 mi. Turn right onto 40th St, then left onto Broad Ave. Take a slight right onto 48th St. At .2mi, turn left onto Oak Ave and continue onto Broad Ave Exd. Turn right onto Sugar Run Rd.Travel 5.9 mi and turn left onto Tunnelhill St. Turn right onto US-22 W. Finally, take the Ebensburg/Loretto exit. Stay right at fork and merge onto Rowena Dr. Continue onto E. High St. Take a left onto S. Center St; Our Ebensburg office in the Tibbott Building will be on your right. Get on US-219 N from Galleria Drive. Heading southwest, merge onto US-219 N. Take the US-422 exit toward Indiana/Ebensburg. At 1.3 mi, turn right onto US-422 toward Ebensburg. Just under a mile, turn left onto W High St. Follow W High St for about half a mile; then turn right onto S Center St. Our Ebensburg law office in the Tibbott Building will be on your right. Head west on 39th St/Willy’s Rd toward Crawford Ave. Take PA-271 S to Plank Rd. Follow PA-271 S and turn left onto US-219 S/Bigler Ave. At 1 mi, take a right onto PA-271 S/Nicktown Rd. Continue straight for 3 miles, then turn left onto PA-553 E. At 4.6 mi, turn right onto US-219 S/Plank Rd. Continue onto N Center St for 3 miles. 103 S Center St and the Tibbott Building will be on your right. 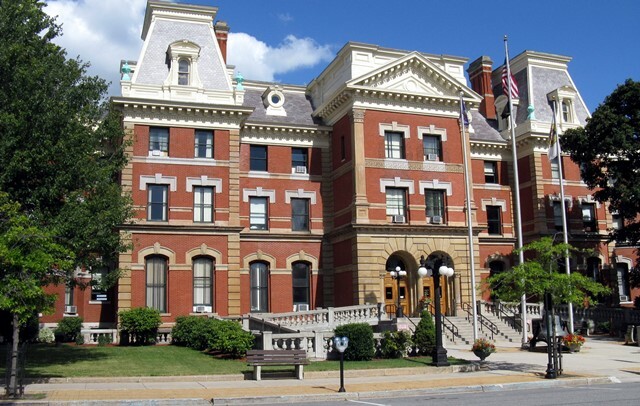 The city of Johnstown was founded in 1800 by Joseph Johns. As a key port of the Pennsylvania Main Line Canal, Johnstown quickly became an industrious town focusing on iron, coal and steel. The Allegheny Portage Railroad transported canal boats en route to Pittsburgh and the Ohio Valley. By 1854, the Pennsylvania Railroad Company had built railroads spanning the entire state. The Cambria Iron Company of Johnstown would grow to become the leading steel producer in the United States by 1860. The Johnstown Inclined Plane is the steepest vehicular inclined plane in the world. Its 30-foot cars are large enough to hold 60 passengers, or another vehicle, and travel at the steepest grade for cars their size. 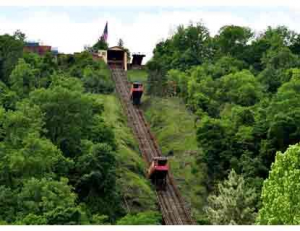 The experience of riding the inclined plane is like no other –the smooth ride and views along the way to the mountaintop are extraordinary. The Inclined Plane was constructed to bring mill materials to the other side, and led to the development of the borough of Westmont. It is still in use by local municipalities, and is also an attraction favored by locals and tourists alike. The Staple Bend Tunnel in Cambria County is a historic landmark noted for being the first railroad tunnel in the United States. 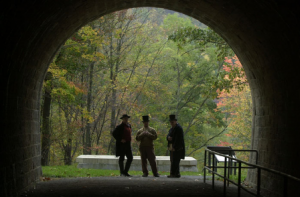 It was finished in June, 1833 as part of the Allegheny Portage Railroad. The west entrance façade has been restored to its former architecture, and the tunnel is open to the public. Access is by foot or bicycle only from the parking lot (aprox. 2mi), and the entrance is located near the town of Mineral Point. 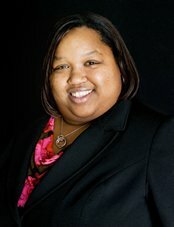 Dana is currently the only African-American sworn in to the Common Pleas Court of Cambria County. 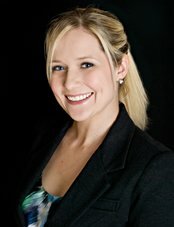 She is an honest advocate and a successful litigator assisting in all areas of PA family law. Tibbott & Richardson, P.C. is a dynamic law firm, and we are passionate about what we do. We are focused and driven to succeed in every facet of our practice. Our clients present us with a wide range of challenges. This inspires us to work tirelessly toward our clients’ goals, planning strategically and using every resource available to us in order to achieve those goals.